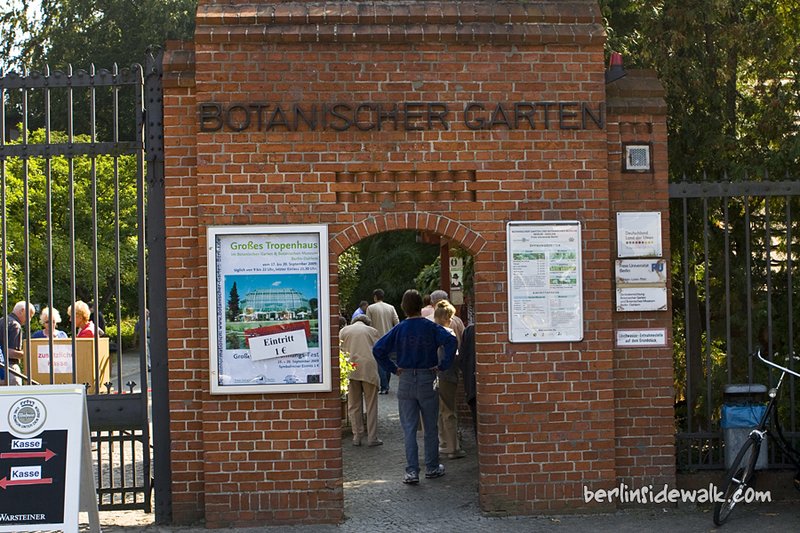 The Main Tropical Greenhouse in Berlin’s Botanical Garden was reconstructed from 2006 until 2009 and is now again open to the public. After over 100 years, the technical equipment was obsolete and the framework was heavily damaged from rust, so the Greenhouse had to be refurbished. It has a ground surface of 60 x 30 m and a height of 23 m, thus ranging among the largest greenhouses of the world. Taxonomic groups, like orchids, ferns and bromeliads, or to plants requiring similar cultivation techniques, like succulents, water plants, and insectivorous plants, are grouped together in some houses. Within the main tropical glasshouse, the left half contains plants from tropical America, the right half plants from tropical Africa, Asia, Australia, and the Pacific region. The Greenhouse contains about 1.300 plants from different continents and pylons are explaining facts about the different kinds of plants to the visitors.